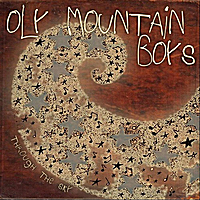 The Oly Mountain Boys | Pacific Northwest Bluegrass | Blog : Through the Sky! Well, after a great release show with Windy Hill, our new album "Through the Sky" is now available just about any way you want it! You can purchase the CD (with some awesome album art) or just download MP3s directly from our Store page. And you can also find us on iTunes, AmazonMP3, Google Play, Spotify, and more through CDBaby's Digital Distribution program. But better yet, come out to a show and get it in person!